There are a few things that make air travel manageable. Airport lounge access is one of them. It’s nice to have a comfortable place with free Wi-Fi while you’re waiting to board or when you have a layover. There are usually complimentary drinks and snacks. Some even have restaurants. Most lounges also have workstations if you need to get work done. If you’re traveling with the family, there are children’s rooms with kid-sized chairs and TVs tuned to cartoons. Clean restrooms and even shower suites is another plus. And if you need to change a ticket, the airline staff is there to help. You can get used to these little perks very quickly. 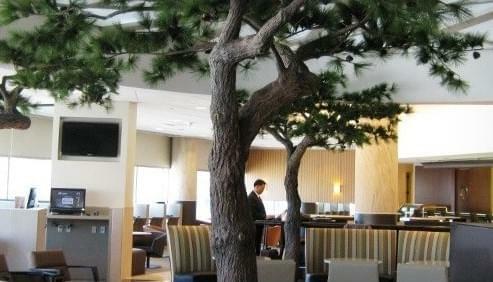 Here are five domestic lounges that are considered the best. Let’s start with a lounge that isn’t run by an airline, but rather a credit card company. American Express has introduced The Centurion Lounge in several airports across the country, including Dallas/Fort Worth. Lounge access in Terminal D is free for Platinum and Centurion cardholders and their immediate family members (e.g. spouse, domestic partner, children) or up to two traveling companions. All other American Express customers can get in the lounge, but it costs $50 per day. The Centurion Lounge offers complimentary food and beverages with a menu designed by celebrity chef Dean Fearing. Loaner items like tablets and headphones are available. The Exhale Spa there offers a few treatments like chair massages, facials and manicures. There are also showers with LOccitane products, which is a nice touch. Virgin Atlantic is known for being a quirky, innovative airline. The Clubhouse lounge at Terminal 4 in New York’s JFK airport underscores the airlines commitment to pampering passengers. Flying Club Gold members and Upper Class passengers have free access. The furniture is a bit funky with its bright reds and purples, but it’s a comfortable place to have a cocktail or catch up on your email. The Clubhouse Spa features a variety of treatments including hair styling by Bumble & Bumble. The sit-down restaurant serves a hearty breakfast (think Eggs Benedict), as well as lunch and dinner with entrees ranging from an old-fashioned burger to curry-spiced tilapia. 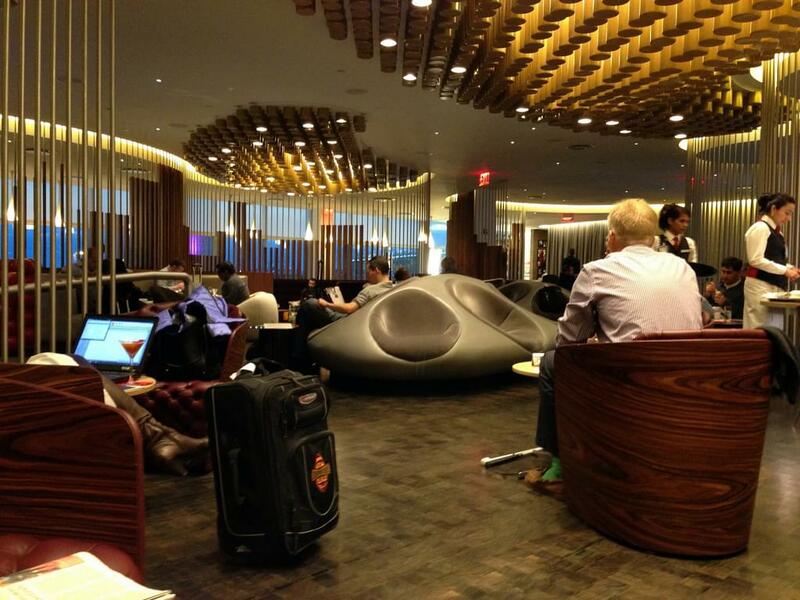 Another good option at JFK in New York is American Airlines Flagship Lounge in Terminal 8. It’s actually located inside the Admirals Club and is meant solely for first-class international passengers, first-class passengers on the airlines nonstop transcontinental flights, and flyers with oneworld Emerald status. For airplane watchers, the lounge has a terrific view of the tarmac. Everyone loves the self-service bar here. It’s well stocked. The lounge serves a nice continental breakfast, light lunch, and afternoon tea with assorted appetizers, soup, sandwiches, and sweets. Dinner is served from 5 to 8 p.m. and usually includes one or two hot entrees and salads. United has had its ups and downs since merging with Continental, but most travelers agree that the United Global First lounge in San Franciscos international terminal is top notch. The airline calls it “an oasis of service and privacy” and it’s exclusively meant for Global First passengers on international itineraries. This particular lounge gets high marks for being on the quiet side so it’s a good place to get some work done before a flight. The decor is classic and the furniture is comfortable. 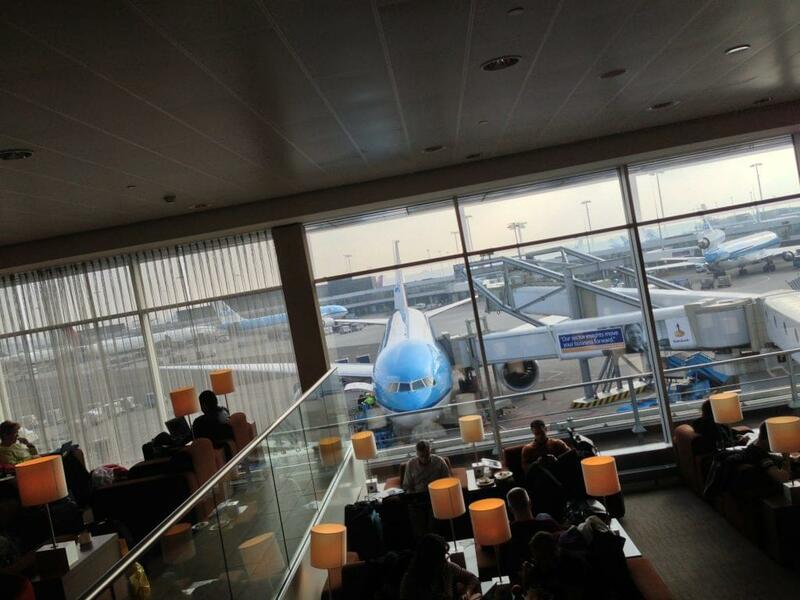 The airline offers free breakfast, a self-serve bar, appetizers, and light buffet meals in the lounge. Only a few Delta SkyClubs have an outdoor Sky Deck terrace, but Atlantas lounge at Concourse F is one of them. And that explain its popularity. It’s rare to be able to get some fresh air while waiting in an airport, so this is a welcome option. Delta SkyClub offers free beer, wine, and spirits, and this location also has a second bar offering premium drinks for a fee. Light snacks like bagels, cookies, hummus, and olives are available throughout the day. Flyers with Deltas Diamond status get a free individual membership into the club. Those with Delta-branded credit cards or an American Express Platinum card can access the lounges for $29 per day.